Stacy Travers is a Marriage & Family Therapist specializing in individual, couples and family therapy, and maintains a private practice in Las Vegas, Nevada. With over two years experience as a marriage and family therapist, and as a graduate of University of Nevada, Las Vegas (UNLV), and University of Phoenix. She is currently serving as private practitioner working with a broad spectrum of clients. I offer supportive counseling for individuals, couples, families dealing with stress, work pressures, depression, parenting issues, grief and loss, marital problems, and family issues. 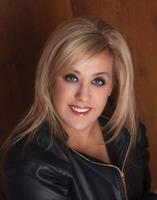 Stacy is an interactive, solution-focused therapist. Her therapeutic approach is to provide support and practical feedback to help clients effectively address personal life challenges. She integrates complementary methodologies and techniques to offer a highly personalized approach tailored to each client. With compassion and understanding, she works with each individual to help them build on their strengths and attain the personal growth they are committed to accomplishing.